With years of experience working as an aesthetician, I know that everyone ages a bit differently. Some folks are able to hold onto that youthful glow far longer than others. While good genes and diet get most of the credit, there’s another secret almost all of these slow-agers have: from a relatively early age, most of them take steps to prevent signs of premature aging. How do I know? As an aesthetician, helping clients with aging skin care is in my job description. 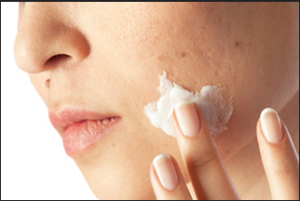 It might not happen like clockwork, but by the time most of us reach the age of 30, our skin starts to change. First, it starts to lose collagen – a structural protein that makes our skin thicker, fuller, and sometimes fatter. It also loses moisture and becomes drier than it was in its younger days. Lastly, lines that are caused by the expressions you make will start to show. Although some degree of facial aging is unavoidable, there are many steps you can take to slow the sands of time. Some of these procedures may stop wrinkles, fine lines, and other damage almost instantly. Here are my top tips. Countless studies have shown that the sun’s ultraviolet (UV) rays can damage skin fibers called elastin. Over time, the breakdown of elastin fibers can cause skin to sag because it no longer has the same resilience or elasticity. Sun damage can also cause a loss of collagen and an increase in wrinkles and fine lines. To protect your skin from excessive exposure, it is important to use sunscreen with zinc oxide each and every day. This simple tip can prevent many of the signs of premature aging. Once considered products for older folks, Broadband Light (BBL) laser therapy and dermal fillers can work wonders for younger patients as well. The reason? There is compelling evidence that these treatments increase collagen production. BBL is a no-downtime laser that can be done one to two times a year. It helps your body produce collagen like a 20-year-old. It also can improve unwanted red and brown spots. Fillers like Juvederm and Restylane also can increase collagen production for protracted periods of time. See your dermatologist to discuss the benefits in more detail. This increase could reduce the risk of wrinkles, sun-damage, and other signs of aging. Following these aging skin care tips can help you keep your face looking young and healthy for years to come.